15 hours to freedom. - I bet you think this blog is about you. Then Santa gets to have his way with me. Just two more days of work and I'll be on vacation until 12/27. Because I have more vacation days than in prior years, I'm certainly taking more time off than previously. But another crucial difference I ought to consider in future years is to take days off in early December. The combo of holiday parties, shopping, wrapping, and making travel plans while trying to work has not made this such a fun week. But I'll be ok. 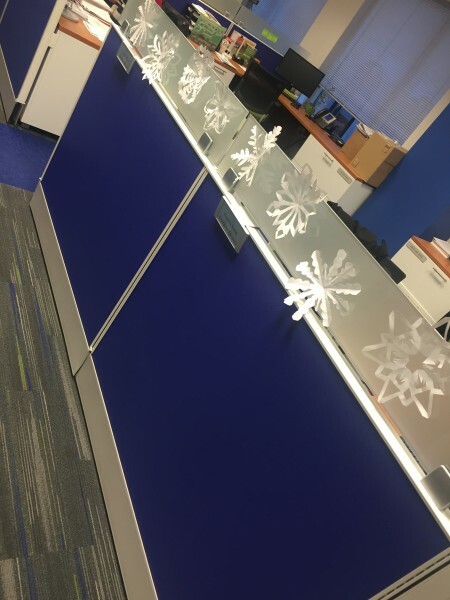 Printer paper snowflakes that my desk neighbor made while politely ignoring my under-the-breath cursing at the online CVS Christmas card creator. Today has been lovely, though. I woke up early, went out for a run in this creepily warm weather, then got my haircut. This afternoon I managed to get through a few chapters in my book, had a nap, then we had tacos for dinner. I delivered B to work, and now I'm waiting for Michael and Michael to get out of an unidentified concert so we can have drinks. 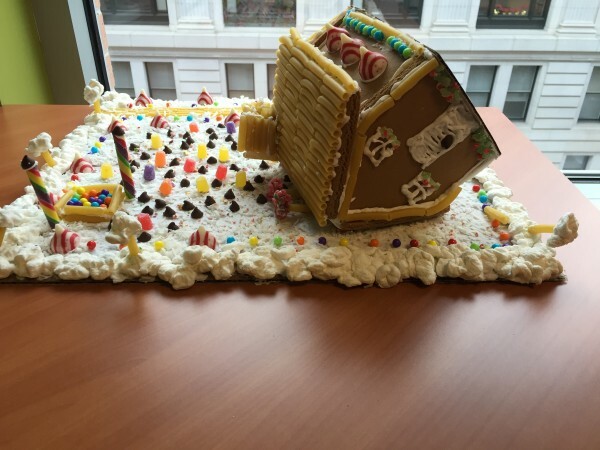 Our Oz-themed gingerbread house from work.